BLOWOUT SALE! Glass rectangular block vase, 16" tall, 5" x 5" top opening. These are nice quality glass, perfect for Manzanita Branch centerpieces. Glass vases may require additional shipping. Shipping discount promotions do not apply to glass vases. 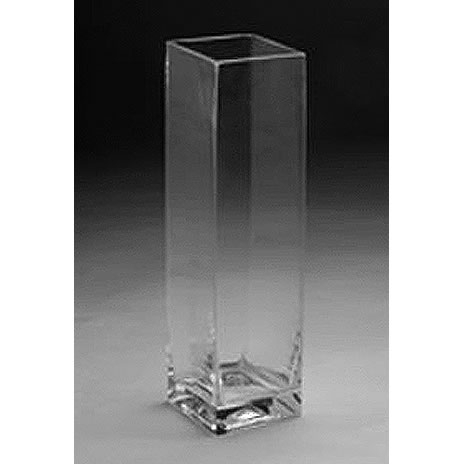 Glass Cylinder Vase, 10" x 5" Globe Style Hanging Votive Holder - Chain Style Glass Rectangular Vase, 12" x 6" Glass Cylinder Vase, 6" x 4"
Item arrived well packaged and in flawless shape. After a quick wipe down with glass cleaner this thing looks gorgeous! I'm not using it as a vase, but actually as a sort of case for a very expensive bottle of alcohol, I just turned it upside down. The price was also unbeatable. Thanks blooms and branches!